The Commonwealth of Virginia is considered the birthplace of America. It’s where English colonists first settled in Jamestown in 1607, and it served as the home for both George Washington and Thomas Jefferson, our first and third presidents and signers of the Declaration of Independence. But what many may not know is its historical significance in America’s wine heritage. Many today may refer to Virginia as one of America’s “up and coming wine regions,” but as history demonstrates, its roots run deeper. In 1619, 12 years after English colonists settled in Jamestown, the Virginia House of Burgesses, then the legislative body for the Colony of Virginia, passed an act requiring each male colonist to plant and cultivate at least 10 grapevines. Planting grapes to make wine, using European rootstock, was an attempt to help boost the struggling economy and trade overseas. Grapes were considered an important commodity at the time, since the British drank copious amounts of wine, which was considered safer than the drinking water and good for digestion. The initiative had the best of intentions, but not a terribly successful outcome. “Ten grapevines per landowner didn’t amount to much production, and the settlers found it hard to grow grapes and easier to produce barley and malt for beer, so that’s what they did,” noted Bruce Schutte, a wine industry veteran who now leads private tours of Virginia wine country through his company Wine Pro Travel. In the 1700s, after discovering a penchant for fine wine while serving as ambassador to France, Thomas Jefferson devoted 2,000 acres of land to start a winery at his home in Monticello, Virginia. 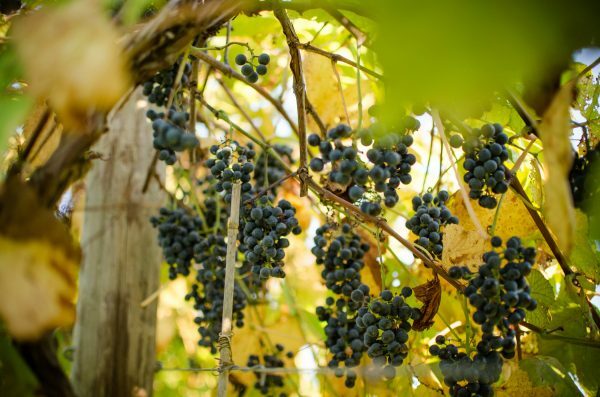 However, the European grape varietals he planted were unaccustomed to Virginia’s damp, frosty winters and hot, humid summers, and failed to thrive. Jefferson almost went bankrupt trying to make wine; fortunately, he fared much better negotiating the Louisiana Purchase and serving as the nation’s third president. While early attempts at viticulture were less successful, things improved as growers gained more knowledge on how to cultivate grapes to adapt to the differences in climate. 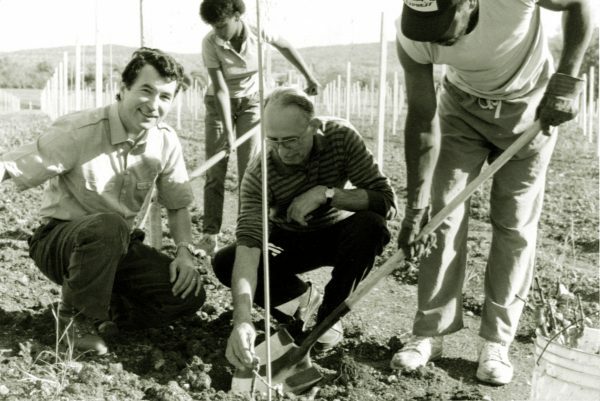 The red Norton varietal, named for its creator, the scientist Dr. Daniel Norton of Richmond, was the first native grape successfully cultivated in Virginia. This grape, which also has clonal roots in the Midwest under the name Cynthiana, ripens early and produces full-bodied, spicy wines much like Zinfandel. In 1873, a wine made from this grape was named “best red wine of all nations” at the Vienna World’s Fair. Today, some Virginia producers still make red wine from the Norton grape. 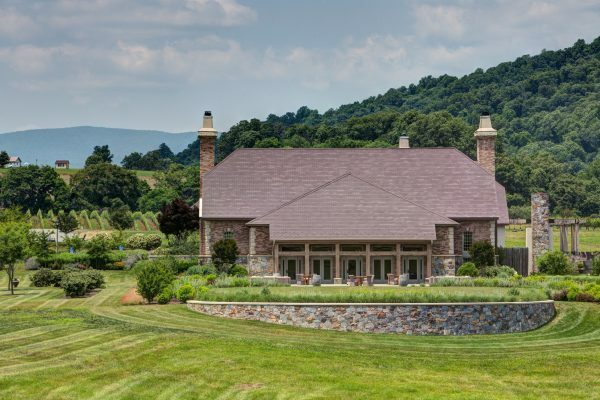 Examples include Chrysalis Vineyards in Northern Virginia, Horton Vineyards in Central Virginia, and Bluestone Vineyards in the Shenandoah Valley. In the years after the Civil War ended, Virginia’s wine industry began to flourish. But everything came to a halt in the 20th century, thanks to Prohibition and the Great Depression. The wine industry did not recover for decades. It wasn’t until the 1970s when winemaking in Virginia showed promise again. A major step forward took place in 1976, when the Zonin family, prominent wine producers in Italy, established Barboursville Vineyards. 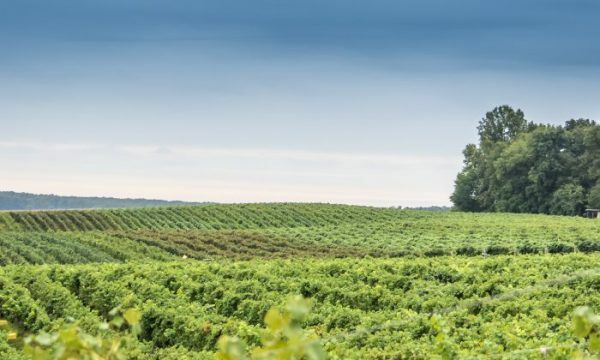 “Zonin had the ability to locate a winery anywhere the world, and they chose Virginia,” noted Neal Wavra, owner and wine director for Field and Main Restaurant in the village of Marshall, located between Winchester and Richmond. Another milestone was when Dennis Horton, of Horton Vineyards, won international acclaim for his Viognier at a wine competition in California. “This set a trajectory for Virginia to produce the grape and gain further attention from the wider wine drinking world,” Wavra said. Now, many international grape varietals hold their own in Virginia. Cabernet Franc, Merlot, Petit Verdot, Chambourcin, and Tannat dominate the reds. Chardonnay, Viognier, and Petit Manseng, a grape better known in southwest France, are the primary whites, although one may also find white wines made from Vermentino, Albariño, Pinot Blanc, and French-American hybrids like Vidal Blanc and Traminette. One example is the single-varietal Cabernet Franc wines, which he noted are less extracted, less tannic, and lower in alcohol than their counterparts in California. Another is Petit Manseng, a floral white wine, which is less common in other parts of the United States but flourishes in Virginia. Virginia is now home to nearly 300 wineries throughout seven designated viticultural areas (AVA). Many are family-owned, and production is limited. After recent visits to different appellations, and attending the annual Governor’s Cup Awards, which recognizes the “Best of the Best,” I came to appreciate both the heritage and quality of these wines. The Bordeaux blends stand up to their counterparts in California and France, and the whites, notably the Chardonnay, Viognier, and Vidal Blanc, delivered subtle floral, stone fruit, and spice notes that I found refreshing on the palate. Virginia wines can be found on restaurant lists and retailers outside the state, but most are sold through wine clubs and on-site tasting rooms, of which there are plenty. Wine tourism has become an important industry. Many of the wineries ship out of state (where legal), so giving Virginia wines a try is as easy as a click on the computer. Virginia decidedly earns its place in American wine history, and its excellent wines deservedly earn their place at the American table. Located 50 miles west of Washington, D.C., this is Virginia horse country, full of stately manor homes and country retreats. This area further south serves as the gateway to the Shenandoah National Park. It is also the gateway to some discover some excellent wineries. Thomas Jefferson would be proud to see his old stomping grounds flourishing with wineries. There’s even a winery named after him, close to Jefferson’s home, Monticello, now a popular tourist attraction. This is a hiker’s paradise, with the Appalachian Trail to the west and the Blue Ridge Parkway to the east. A full list of producers with tasting rooms and suggested itineraries are available on the Virginia Wine Marketing Board website at VirginiaWine.org. Chef Michael Murphy, originally from San Jose, California, said the Finger Lakes region reminds him of what Sonoma used to be 20 years ago.